A never-before-aired commercial for the original Macintosh has surfaced which any fan of Apple history should get a kick out of it. 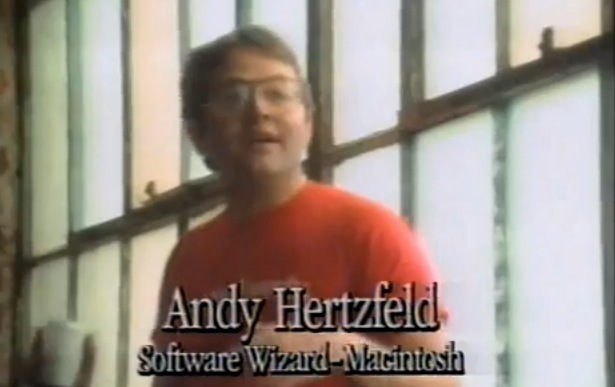 Coming in at just over a minute long, the unaired TV ad includes some big name early-Apple employees, including Andy Hertzfeld, Burrel Smith, George Crow, Bill Atkinson, and Mike Murray, all describing Macintosh and the goals for the product. Here’s a rare commercial for the original Macintosh that Chiat-Day made in the fall of 1983 , featuring snippets from interviews of the design team. It never aired because Apple deemed it too self-congratulatory, although it was used in some promotional materials sent to dealers. Whether it’s nearly 30 years old or not I actually like it more than the recent Mac Genius ads, but maybe that’s because I’m a big fan of Apple history, and I appreciate that Apple’s philosophy remains more or less unchanged. “We wanted to make something incredibly great. And I think we did”. Mind you, that doesn’t apply to the questionable grooming and fashion in the early ’80s… Oh boy, I’d forgotten how awful we all looked back then! That 80’s fashion now looks like everyone in NYC today, go figure! And yes I agree this is a much better ad than the Mac genius debacle. Nothing glamorous but so cosy and friendly, nothing to be envied or regarded as a slap in the face of who can’t afford the huge price of a Lisa but intended to ‘se-duce’ with a smile. Such wonderfully talented people. For those interested, Bill Atkinson is a superb photographer and I highly recommend his book “Within the Stone” if you like abstract patterns. Yikes. The glasses are huge. Everyone is pudgy like they’ve been drinking full fat milk. And Atkinson looks like John Holmes’ brother. It’s a mission for us ‘evangelists’! There are times and situations in the History that are amazing, can be the Pericle times in Athen, the genial fellow Jesus, the latest XVIII century years in France and the creation of the GENIAL metric system, the early ’60 for the youngsters against war and the music and what the Steves (young brothers of that generation) did! But history shows that soon things are getting forgot, the next generation starts to ignore or even refuse (for ignorance or lac of consciousness of the REASONS which pushed to find genial solutions?) the disrupting geniality and the intimate enthusiasm to live together a time of positive revolution. Let us try to communicate that wonderful state of mind, shared mood, atmosphere we lived and is still in our heart and memory, without putting Steve embalmed on an altar as the done to Jesus to freeze his revolution. There is still so much to do AND NOT FOR MONEY but for SHARED JOY!